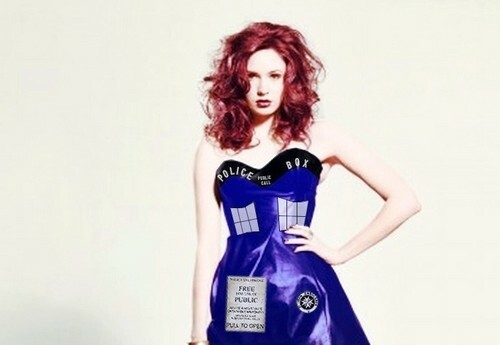 Karen Gillan...or is that the TARDIS? :D. . Wallpaper and background images in the Amy Pond club tagged: doctor who karen gillan tardis outfit tumblr.